Introducing your new go-to serum: Wild Fruit Serum — Brightening Facial Complex. What started as a vision to create a luxury product for the Annmarie line, something that would deliver that “wow” factor to the skin, ultimately came into fruition through ongoing research, continuous brainstorming sessions with our beloved formulator, Bunnie, and many trials and testers before deciding that this is the one. While all of the Annmarie products comprise of carefully selected organic and wildcrafted ingredients followed by a unique and proprietary process that involves weeks of infusing and crafting, our Wild Fruit Serum has been a focus and a beautiful work in progress over the past year for bringing even more effective skin care to our customers. Launching a new product is not something we take lightly. Of course we have fun, play around with formulas and essential oils, but there is so much thought and intention to what we create. Our products are always unique, so it’s imperative that what we do bring to the table is the absolute best (and something that works for everyone). Why is this serum different than our other signature serums? The Wild Fruit Serum is a product unlike anything in our line. We call it a Brightening Facial Complex because it truly is a combination of complex ingredients that work together to brighten, restore and illuminate your skin’s look for a radiant complexion. Additionally, the hydration factor in this formula is much higher than any other serum we currently offer. While hyaluronic acid is the main hydrating ingredient in both the Anti-Aging Serum and Citrus Stem Cell Serum (formerly, Repair Serum), which holds moisture 1000x its weight in water, the Wild Fruit Serum contains multiple hydrating factors that provide deeper levels of hydration that last even longer. What makes Wild Fruit Serum a “luxury” product? 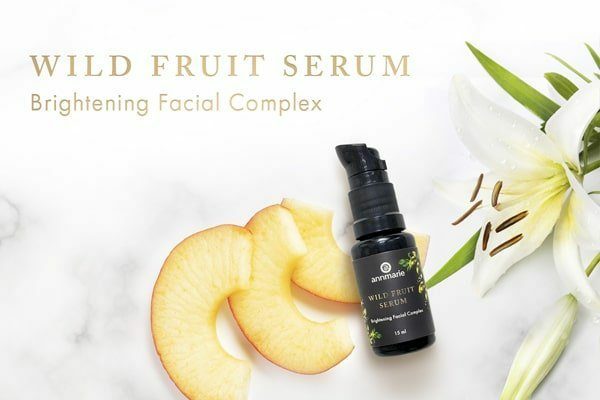 Wild Fruit Serum earned its “luxury” name because of the super-concentrated formula containing ingredients that are supercharged, and exclusive to only this product. We’ll get into the key ingredients below, but know that each key ingredient within this formula requires a precise method of extraction, increasing their bioactivity so that your skin can absorb all of the nutrients to their fullest potential. This serum was developed to be the ultimate product in our line – enhancing the appearance of your skin making it look more youthful, happier and more nourished. Over time, we have 3-4 more products in mind that will fit into this different level of potency and luxury. This formula contains tremendous moisture capability and deep level hydration, while also effectively brightening the appearance of your skin tone with highly concentrated herb and plant-cell extracts. The powerful antioxidant activity provide a fresh, revitalized appearance, and at the same time soothe, making it excellent for sensitive skin types. 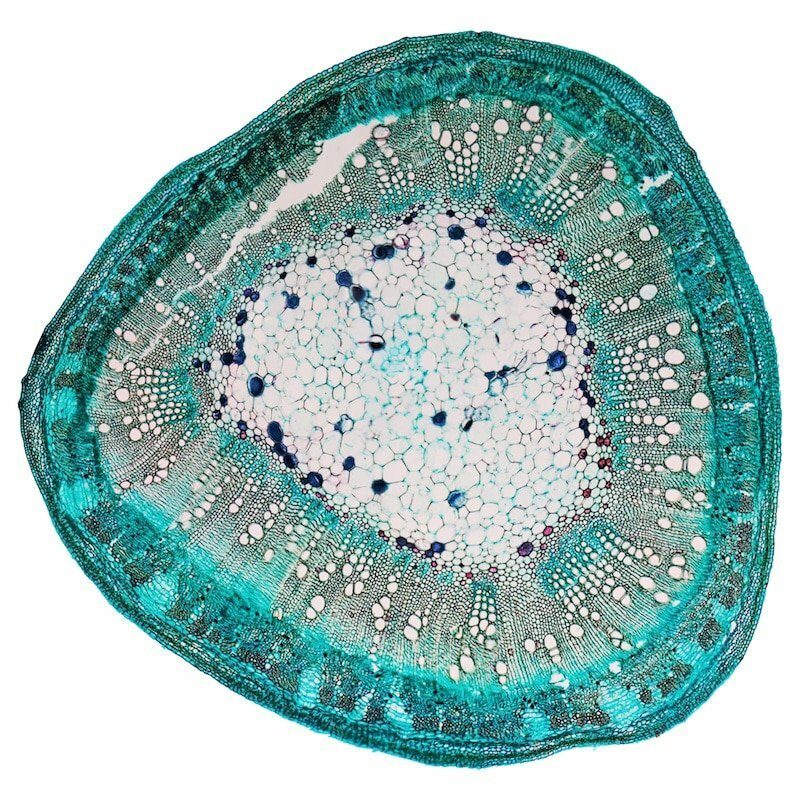 In one 15ml bottle, there are 1.5 million plant cells present (that’s 750,000 cells per plant used). The active plant cells were a recent addition to our line when we reformulated our Anti-Aging Eye Cream several months back, and given that we’ve received such positive feedback on the results they provide, we wanted to include them in our Wild Fruit Serum. We chose these cells from Madonna Lily and Poet’s Narcissus. Their composition comprises of phytoalexins (active molecules), polypeptides, proteins, lipids, fatty acids, sterols, sugars, vitamins, enzymes and amino-acids. All of these elements supply essential nutrients. What purpose do they serve for aging skin? As you’re exposed to environmental stressors, these active plant cells help to create a uniform looking complexion with their powerful brightening properties. They work together to even the skin tone and appearance, restoring a youthful glow. They will also help to reduce clogged pores and clean impurities. Talk about supercharged ingredients! What gives wildness to this serum is the dynamic blend of kakadu plum and apple extracts. Wild, Australian kakadu plum has a range of advanced actives for skin brightening, illumination and restoring your look. 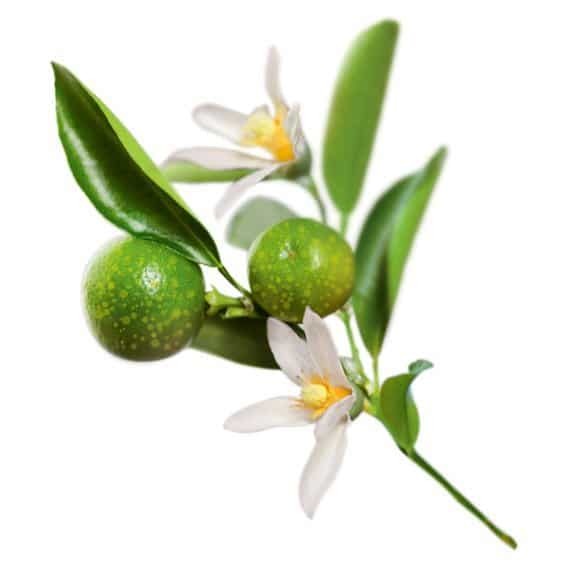 It has been tested as one of the world’s most potent forms of vitamin C, packing a powerful punch. A potent antioxidant, vitamin C has intense brightening and lightening properties, while also helping to reduce the impact of environmental stressors and enhancing the appearance of firmness by tightening aging skin. This amazing fruit also contains phytochemicals such as gallic and ellagic acids. In addition, kakadu plum contains phenolic acid which behaves like an alpha-hydroxy acid to soften your look and exfoliate. It is stronger than vitamin E and has superior antioxidant properties. We extract kakadu plum at low-heat (in aloe vera juice), to maintain its stability and keep it 100% active. Apple extract, also extracted in-house at low heat, is a synergistic ingredient that enhances the absorption of other ingredients. Another potent source of vitamin C, apple helps to give your skin a more vibrant look, while naturally occurring malic acid softens the appearance of the skin’s texture. Overall, apple and kakadu plum work together to enhance your natural beauty: texture, tone, firmness and radiance. Both Knotweed and Uva ursi also harness amazing skin brightening properties. These plants are extracted using aloe vera at a low simmer for 2-3 hours, which effectively extracts all of the active compounds without compromising the nutrient value of these plants. What's the deal with knotweed? Knotweed is naturally rich in high levels of resveratrol, which is the most potent ingredient in this serum. Resveratrol is a natural polyphenol and powerful antioxidant, providing even look to your skin tone. It is best known for it’s powerful antioxidant properties that are highly effective in protecting from environmental stressors. On top of all of this, it is more effective than ascorbic acid and vitamin C for brightening and lightening the look of your skin. If using Wild Fruit Serum to brighten the look of your complexion, you can use this serum up to three times a day for best results. Knotweed (resveratrol) is known for how well it can enhance the appearance of firmness and tone the look of aging skin. 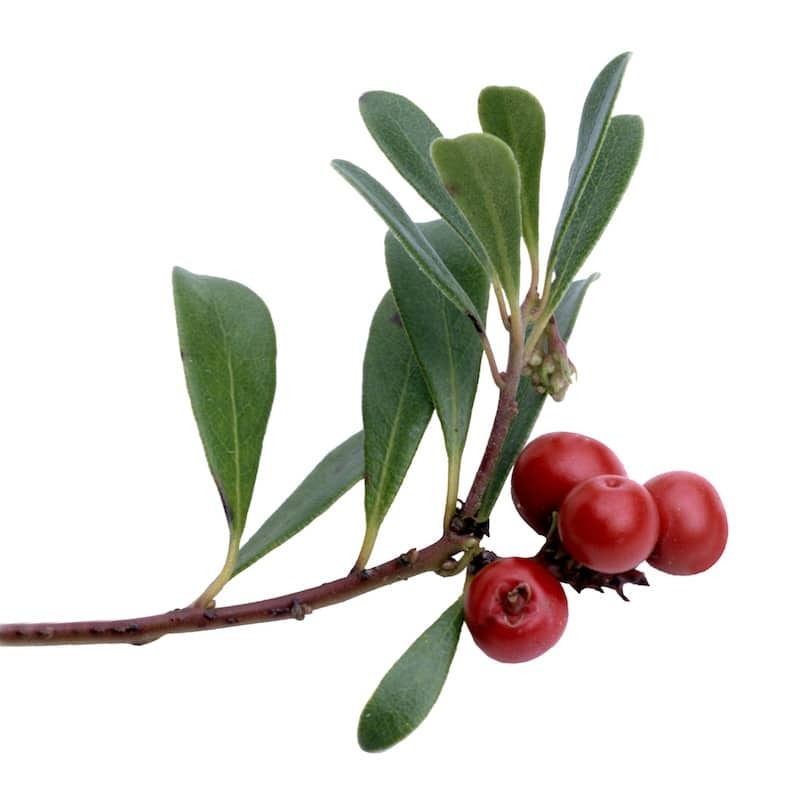 Uva ursi, which is also in our Citrus Stem Cell Serum, is a highlight herb due to the naturally occurring compound Alpha-Arbutin, which promotes a lighter and brighter look to the skin and ensures an even looking skin tone on all skin types. These ingredients are a perfect duo for our ultimate skin brightening complex. Yes, copper ions are infused into our mountain spring water. We were excited too when we started playing around with this idea! why do i want copper in my skin care? Copper ion infused water has been used in Ayurvedic science for thousands of years to improve vitality, boost health in several ways and rejuvenate the appearance of skin. Water, stored in a pure copper vessel for a minimum of 8 hours infuses the water with lively copper ions in a process known in science as “oligodynamic.” Water is recharged and energized and is transformed whether taken internally or applied topically. Copper ionized water has been proven to have incredible desired properties effective both internally and topically on the skin. In addition, it has strong antioxidant properties. It also helps with clogged pores and oily skin, and is cleansing – helping to remove dirt, oil and impurities. It truly will revitalize your skin’s appearance. Specifically in skin, copper ionized water can help restore your natural glow. The result is a reduced appearance of fine lines and wrinkles with firmer, hydrated skin. Lastly, copper works as a conductor, synergizing the entire formula and all of the potent and powerful herbs present. But don't just take our word for it. Try it yourself! . Have you tried our Wild Fruit Serum? We’d love to hear what you think! We have not yet seen any studies that link topical use of carrageenan to any health concerns. We are aware of the issues surrounding the safety of ingesting carrageenan. We know that when degraded and used as a filler in food products this ingredient could potentially be harmful to the immune system, and could cause inflammation of the intestines. Luckily, when used topically, carrageenan has too large of a molecule to penetrate the skin, so it cannot be absorbed into the bloodstream and cannot get into your intestinal tract. Hi. The article link you posted above in response to my question raises more red flags for me. Might this ingredient placed in an exfoliant formula make it more absorbable? I’m wondering if there is an alternative. Thanks again. p.s. I couldn’t respond to you thru my e-mail, since it seems to go to your trash. Also, I got an automatic e-mail from you that persuades me to delete my comment/question above. I didn’t want to do that, as it might be helpful to others or contribute to an answer, so just deleted the e-mail your company sent. I don’t think I’m being unreasonable or anything. Thanks very much for responding. We certainly understand your concern about the carrageenan so we would suggest not using those products if you’re uncomfortable with that ingredient. Studies show that it is too large of a molecule to be absorbed topically. We trust our formulator to make safe, effective, and well researched products with ingredients that are not harmful in any way. Please write into us at [email protected] – we don’t see any emails from you! The Wild Fruit Serum is wonderful! I’m in my late 50s, have normal-dry skin, and live in the desert southwest where it’s very hot and, dry. I didn’t know what the serum was for nor it’s benefits, but I tried the sample anyway, on cleansed skin. I couldn’t believe how great it smelled and felt. I will definitely be a user. Would like to receive a sample of your new skin brightening serum. You could certainly replace the Serum in your routine with the Wild Fruit Serum but we still suggest working with a moisturizer!